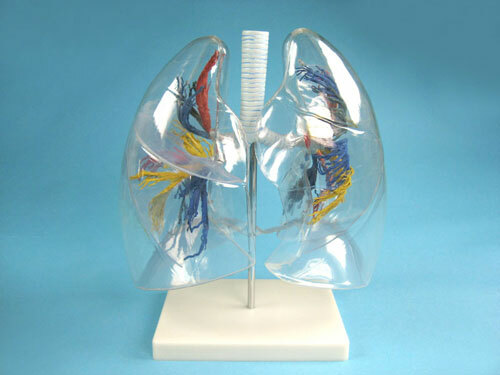 Transparent and detailed model of human lungs. 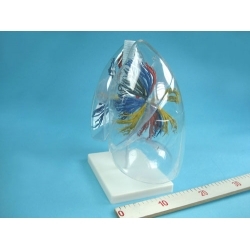 This model presents 10 segments in the right lung and 8 in the left. The distributions of the bronchial tree can be observed through the transparent lungs. 1. Right lung: right upper lobe ( 3 segments), right middle lobe (2 segments), right inferior lobe (5 segments). 2. Left lung: left upper lobe (4 segments), left inferior lobe (4 segments). 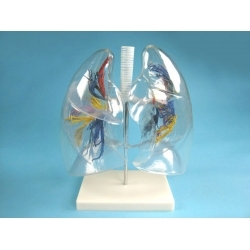 The lung made of transparent plastic. 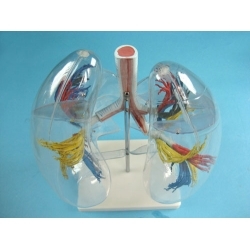 The trachea and bronchial tree is made of PVC.